A school in Kakamega was recently closed indefinitely after students went on the rampage demanding the removal of their principal. He is further accused of failing to register 15 candidates in this year’s KCSE exam despite their parents having paid examination fees totaling to Sh94,000 of which they claim that the principal has pocketed. It is alleged that the principal collects fees from students without issuing official receipts for the same and that the school was losing. The principal further came under scrutiny after parents and suppliers who delivered goods to the school accused him of not remitting them as school property but were instead using them personally. A case in point was a supplier who supplied to the school 112 bags of maize but only 20 bags were used by the institution and the rest were sold to the locals and the amount realised of Sh331,200 was allegedly not banked on the school account. This led to a serious food shortage in the institution triggering the strike by the students at the school leading to the principal evading to attend school during first term. In a memorandum read to the education officials by a parent, Ronald Chesoni, it alleges that he principal’s social life has led to the strenuous working relation both on teaching and subordinate staff at the institution as a result foodstuffs and school assets disappearing mysteriously through collusion. At times, it was said that the matron was mandated to act as the chief executive officer of the school where her word was final. The memo also claims that the principal has turned the school bus into a money minting machine for personal gains where there are no records for cash received for hire of the bus. Wadongo is also accused of failing to submit an audited financial report of the school for the past four years. It is at this juncture that the education office and the teachers’ representation led by area sub-county education officer Anne Shiundu, staffing officer William Chepkwony, quality assurance and human resource officers, Kenya Secondary School Association chairman Kenneth Indusia and his vice chair Enock Andanje, Knut secretary Shadrack Tovoko ordered the deputy Nancy Webo to officially close the school until the issue is resolved officially. 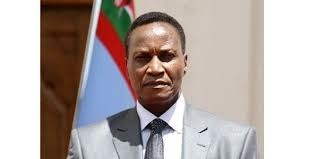 Efforts by the principal to enter the school through the assistance of Kabras Police Station OCS David Kimutai and heavily armed officers were thwarted as students and parents obstructed their entry ordering that the embattled head should not set foot in the institution as he was no longer needed. The board of management chairman Kaskoni Mwindoti dismissed the allegations levelled against the principal and instead blamed the outgoing deputy for incitement noting that she wanted to take over the school from Wadongo when he retires this year in December but was shocked when she was instead promoted to head Tumbeni. “Why is it happening a week after her transfer? Anybody can read a mischief in that. The school has not had any cases of indiscipline until her posting six months ago,” said a parent. The deputy principal in question is not new to controversies. She refused to hand over Lugusi Secondary School when the new principal Charles Kokonya was posted there leading to a near strike by the students forcing Kokonya to take over while the students were at home.